I am majorly excited for this one, Just look at that cover! And since reading The Iron Fey series by Julie Kagawa, I have been trying to read more fey books, at first I hated the entire sub-genre and avoided them like the plague, I'm now slowly coming around. This looks like something that is just up my alley and from a debut author, what more could I ask for?! 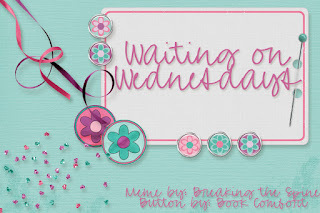 So what are you waiting on this Wednesday? This is also on my TBR list! It looks like it will be great and that cover is to die for! I can’t wait to read this one! 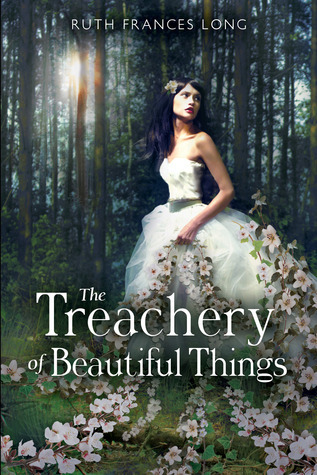 If you like fey books, have you ever read Melissa Marr’s Wicked Lovely? I loved that book and thought it was a very well written faery book! Thanks for sharing your pick! Oooh, this one is on my watch-out list, too! Very good pick imo! Okay, my interest is definitely increasing. Who doesn't love a book involving fairies? I'll be on the lookout for this one. Great pick! My WoW. Don't forget to check out my giveaway. LOVE the cover! I used to be kind of iffy about fairy books too, but I hope this one is as good as The Iron Fey series! I am just in love with this cover. Kind of reminds me of the cover of Entwined. :) Great pick! I'm not too big on faerie books either but some of them have really pretty covers and intriguing premises so I've got them on my wishlist. I'll wait for the reviews to come in though before deciding whether they're worth buying. I've seen this around quite a bit lately. I'm not much of a fairy fan, but it sounds quite interesting. Nice pick! I can describe this in one world: <3 LOOOOOOVE. Already :D I can't wait for it.